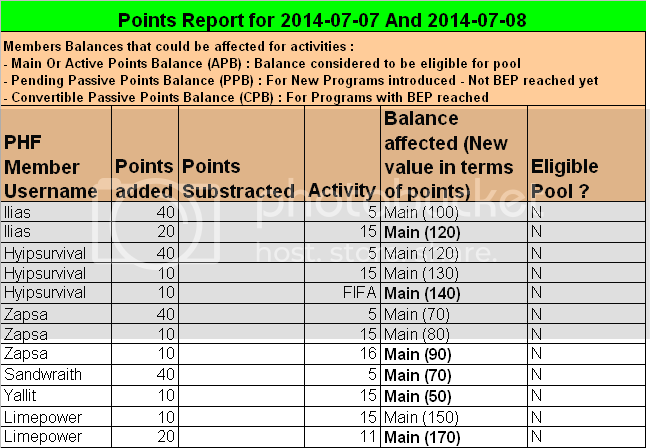 Find here all the details about points which were added or substracted to active PHF members starting from July 1st until July 31th. 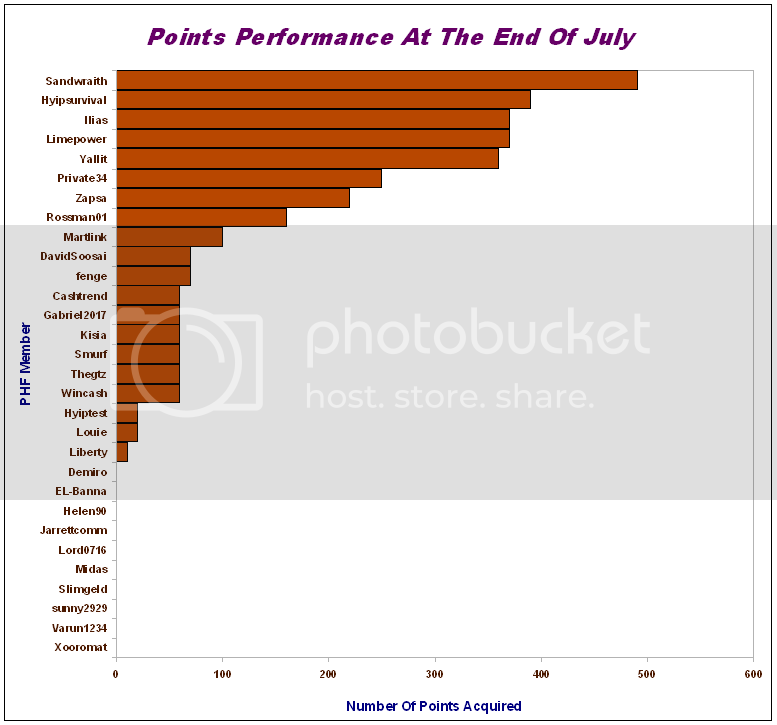 For the first weekly points performance of July, Limepower reached first rank (thanks to the useful tool he shared to the community). I wish you a nice week and also some good rest (in the beach) to some PHF members! This is also the end of our World Cup 2014 journey thread animated mainly by Hyipsurvival but also with comments from other PHF members. This was a great initiative by Hyipsurvival to survive a bit this dead hyip season. As you can see, there were lots of fast scams recently so it's better either to wait or to invest in proven programs like our programs list. 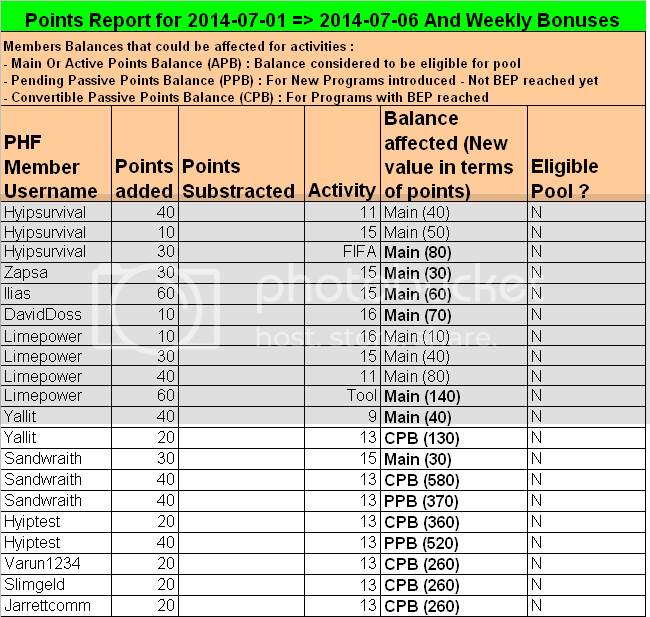 For this end of the week, the first three most active PHF members have not changed since last week with even Ilias reaching 2nd rank after hyipsurvival still in first rank! 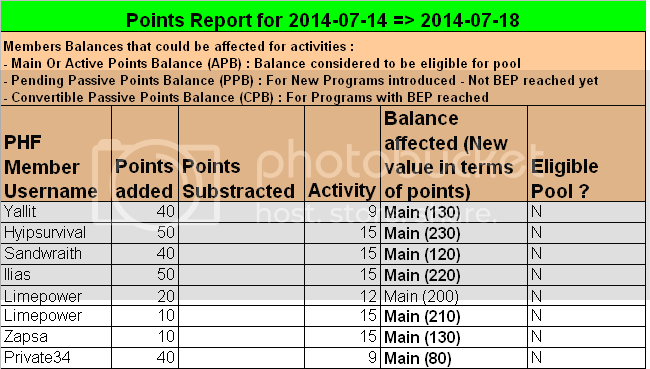 I was also pleased to put some programs into profitable mode, receiving quickly our principal back from those programs! 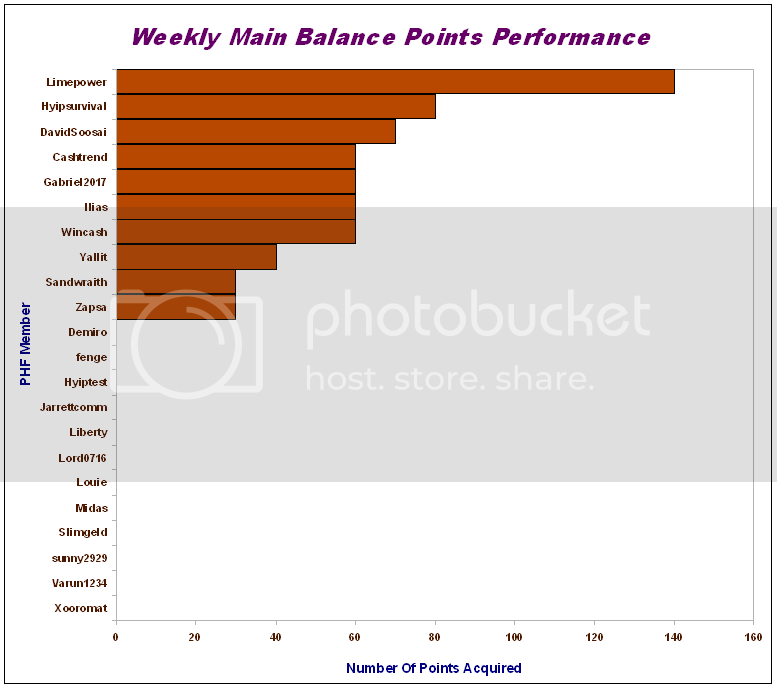 Most of them were introduced by Sandwraith who will have a special money bonus at the end of the month! I hope in the future not to give such bonus only to Sandwraith. 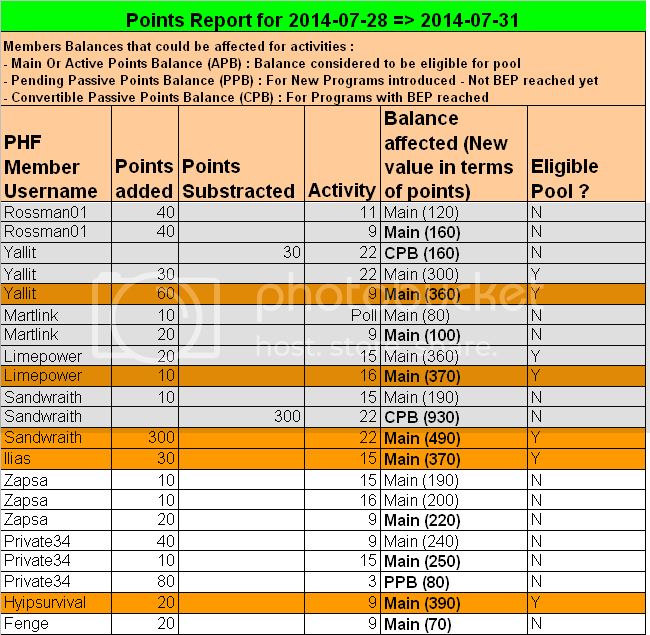 Some other members are really able to bring profitable programs in our forum! 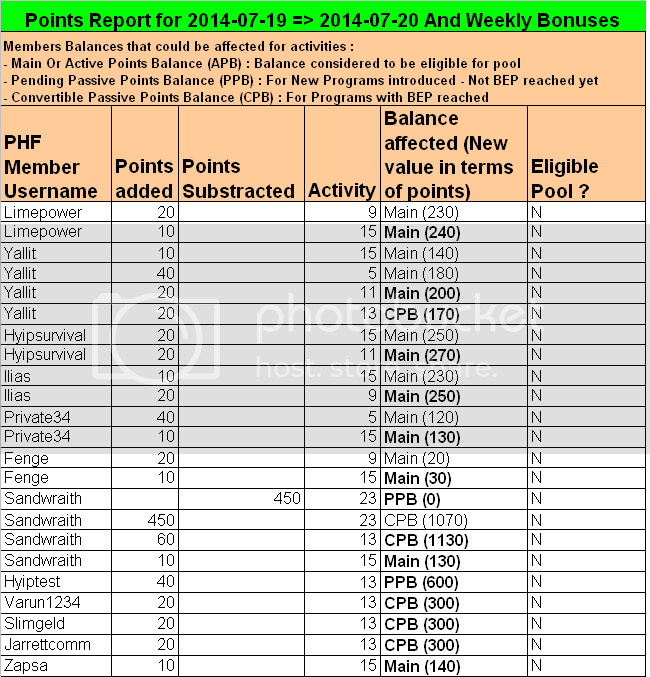 Ilias, Limepower and Hyipsurvival are our first eligible members for money pool, congrats! For the end of this week, our first three best active members have not changed. 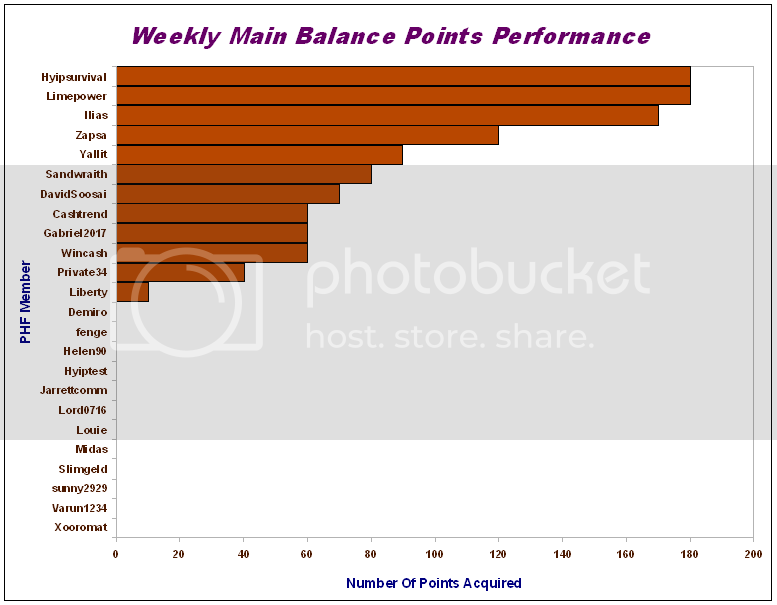 Overall, the activity is growing in our forum and we are not far from the good old days. I'm glad to see some members coming back and that means good things for the future as probably inactive members have not seen the potential yet of our forum and this forum can bring to them. 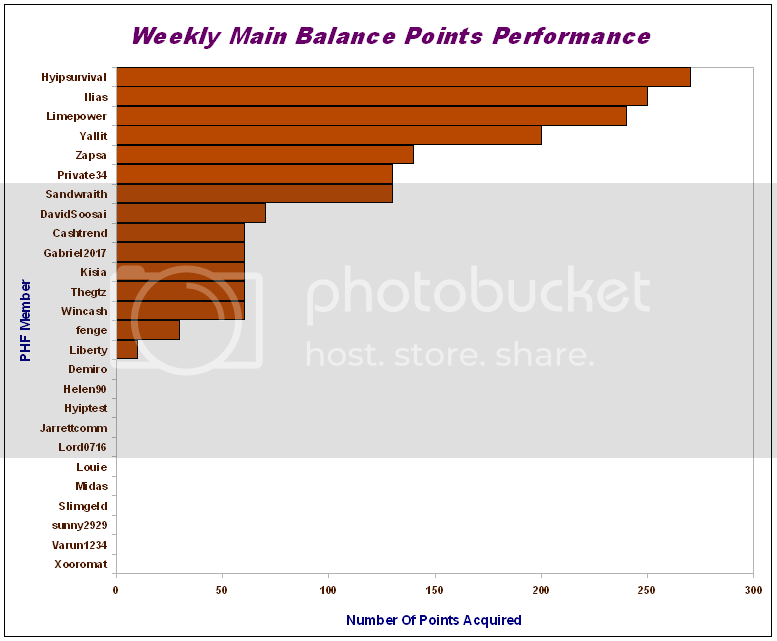 After all, they consider it as just a hyip forum like TG, MMG, MMGP and DTM! Perhaps also they think they are better ways to make money online but it's not that easy! The many tools available starts to be used and this is great to protect our community from the many fast scams around which can be found a lot in summer season! As you can see, we have an investor who is also an hyip admin. Note that it's exceptionnal and so far his behaviour is clean. It can be an advantage for us if he helps us with his hyip admin experience. I wish you a nice week and good fun with PHF! 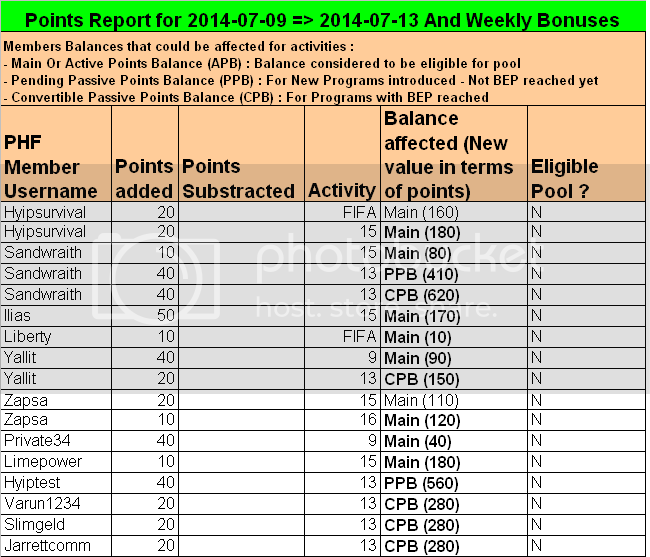 For July, we have 5 eligible members for money pool and 4 of them will be our August forum sponsors. 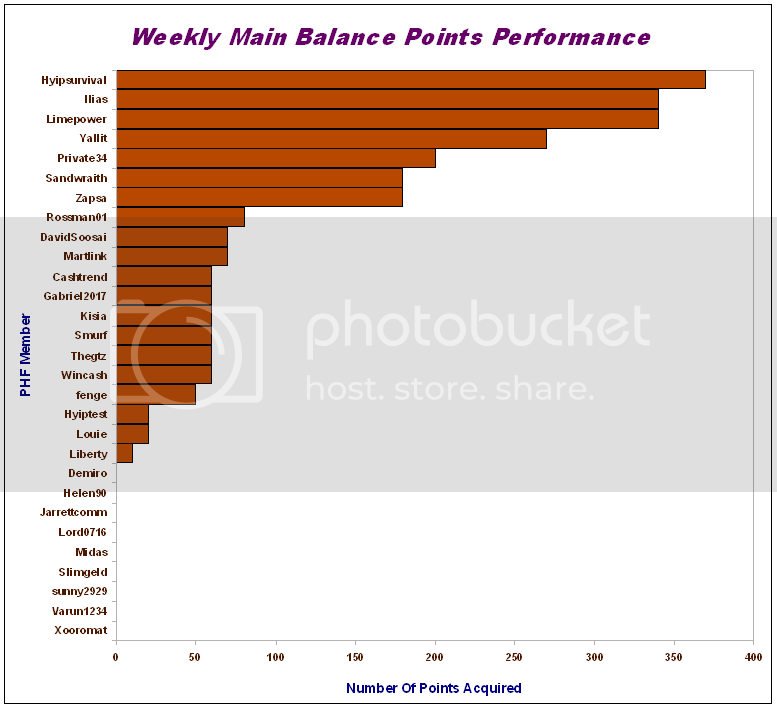 Indeed, two members have same number of points : Ilias & Limepower. They both deserve their place so I decided we will have 4 forum sponsors instead of the usual 3 ones. Hyipsurvival keeps also his second rank like previous month - Always reliable and helping our new members starting the right way with hyips! Limepower is getting his first payout so I'm waiting for a password to be sent by private message in order to accept payment request. 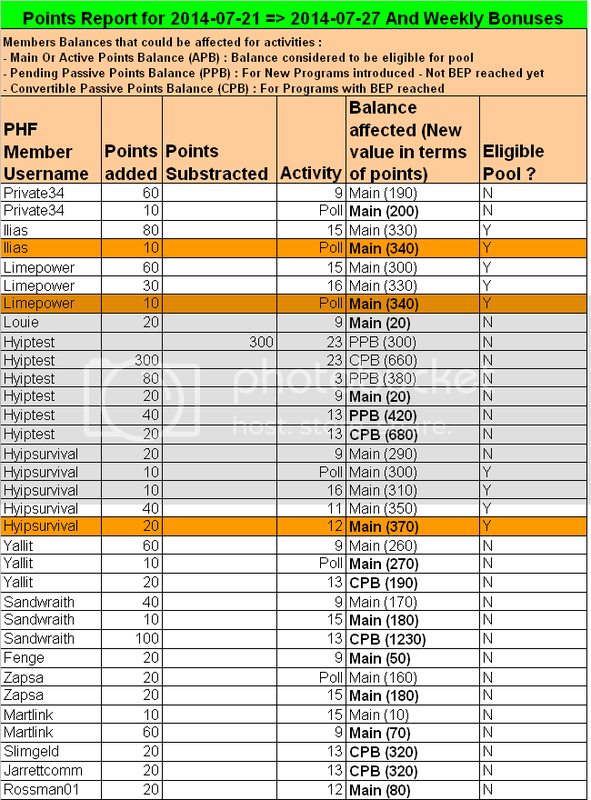 I invite Limepower to read the part of forum rules about the process how to claim a payout.